Kuwait’s Cassation Court on Thursday, September 17 upheld a death sentence for an Ethiopian maid for killing a Kuwaiti teenager. 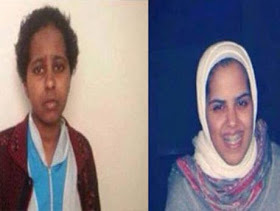 22-year-old Rabiya Mahmoud was sentenced to death in November. The court sentenced her to death by hanging after she admitted to the public prosecution that she killed Siham Humood Flaitah Al Shemmari, 19, while the family members were resting after hosting a dinner reception celebrate the graduation of a relative. According to reports on the case, Rabiya confessed that in March 2014 she took a knife and walked into the victim’s bedroom where she stabbed her in the chest. The victim survived the first stabs and pleaded for her life; however, Rabiya refused and stabbed her again until she died. She then fled the house, but later headed to the Sulaibikhat police station and turned herself in at 5:45 am. She told officers that she stabbed the victim who was asleep, then locked her inside the room before leaving her employer’s house. She cited conflicts with the victim as the reason, and said that she had planned the murder days earlier and that her plans had been delayed because of the presence of the victim’s younger sister. The police said that officers responded to an emergency call reporting that a door was locked in a Sulaibikhat house with a girl inside. Firefighters broke the door open and found the girl bleeding profusely. She was rushed to the hospital but doctors pronounced her dead on arrival. The medical report said the death was caused by four stab wounds — two in the chest and two in the abdominal area. Investigators confirmed that Rabiya killed the young girl after they found her fingerprints on the knife used in the crime. Siham was a freshman at Kuwait University’s Faculty of Arts when she was killed. Her father, Humood, was a member of Kuwait’s national team that participated in the 1982 Fifa World. Cup.